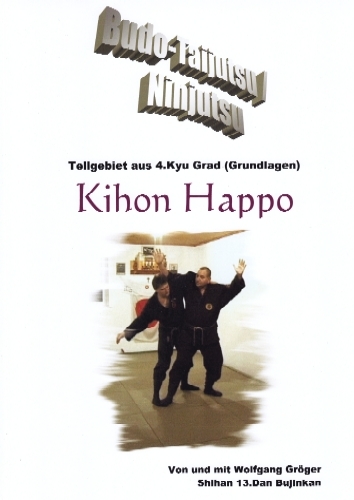 This MP4-Video includes Video sequence Kihon Happo 1-8 of the Budo-Taijutsu / Ninjutsu lesson series (4th Kyu grade). In this MP4-Video you can see graduate engineer Wolfang Gröger Shihan 15th Dan (Menkyo Kaiden Kugyo Happo Hiken) Budo-Taijutsu (Bujinkan) and 12th Dan Goshin-Taijutsu (IAWO). 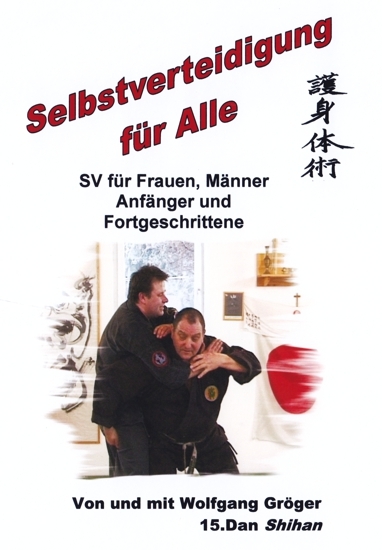 Wolfgang Gröger is one of the first in Germany to study and teach authentic Budo-Taijutsu / Ninjutsu. He is one of the pioneers in the art of Budo-Taijutsu / Ninjutsu in Germany. Content: Kihon Happo 1-8 (ICHIMONJI NO KAMAE, HICHO NO KAMAE, JUMONJI NO KAMAE, OMOTE GYAKU DORI, OMOTE GYAKU TSUKI, URA GYAKU DORI, MUSHA DORI, GANSEKI NAGE), inclusive variations (Henka).